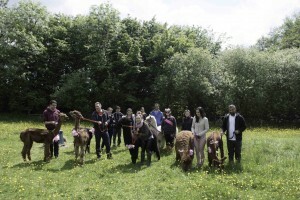 Looking for ideas for a hen party or other special event? 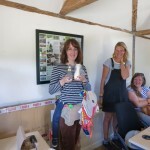 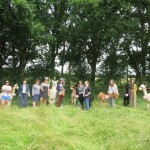 If you are looking for ideas for an unusual and rewarding hen party – look no further. 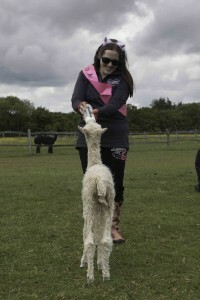 Our walking team and our mums and baby alpacas group will make it a day to remember. We will tell you about our alpacas, the farm, the wildlife here and take you out into our wildflower meadows with some of our walking alpacas. If you are interested, at the end of the walk – and after paying your walking team in carrots – we can show you some stunning alpaca products we make here is Sussex. 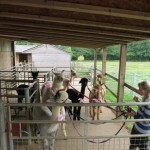 You can even buy a scarf or gloves made from 100% Spring Farm Alpaca. 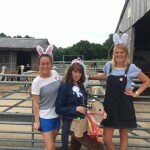 Having a hen do here is great fun – but don’t just take our word for it. We can also recommend local eateries, pubs or some amazing local attractions so you can build on your alpaca walking experience here at Spring Farm. 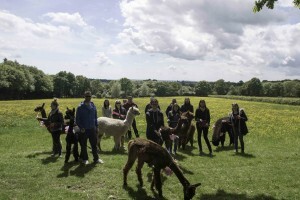 We are close to Brighton (30 minutes drive) and London (45 minutes by train). We look forward to meeting you soon! 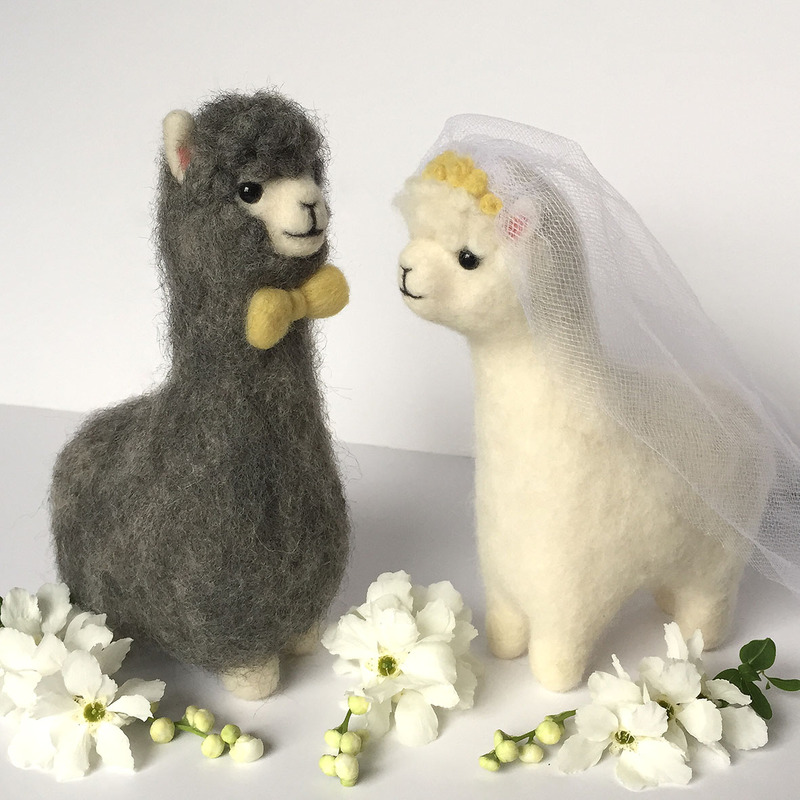 Then of course, you may wish to have a special alpaca momento of your day – can we suggest a 100% hand made, needle felted bride and groom! 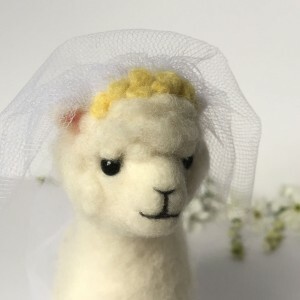 Please note, we do need to know in advance as these are hand made to order.